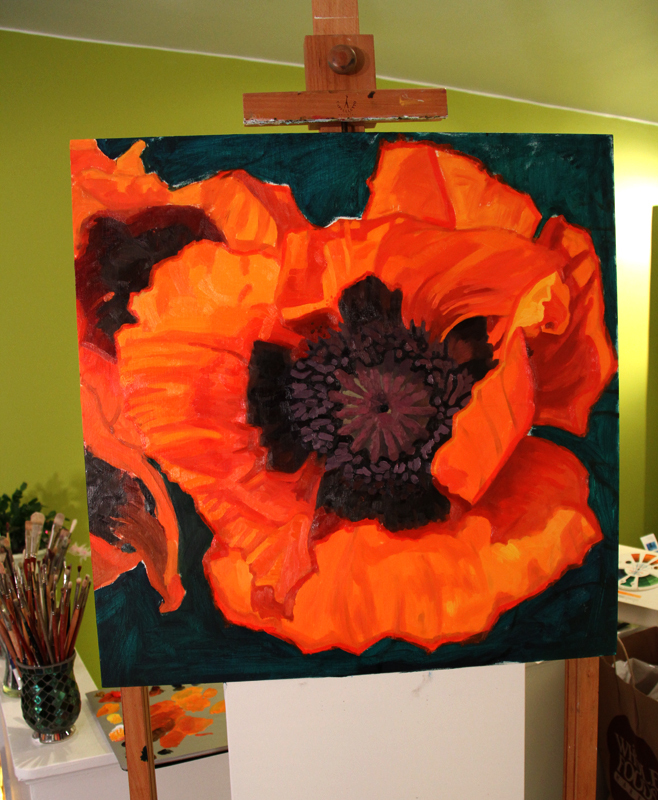 As you can see I have worked on the petals a bit more. I’m really trying to get the various orange hues correct and working together.The highlights and shadows will be really important with this piece. They will help breakthrough all of that orange. The centre is pretty much complete with a few touch up needed. Mostly just making sure that the shadows are working and that additional “layered” colours are added. I’m really enjoying painting in a thick manner with the paint. Usually I’m only adding thicker layers for the light colours ie. highlights. I still have a long ways to go, though I am hopeful in believing that I can have it done in a week! One Response to "February’s Art, part two"
Love that Orange !!! nice work.